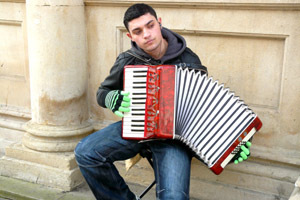 You do not need a licence to busk, but if you are busking to raise money for charity you will need to obtain a street collection permit, which is free of charge. There is a voluntary code of conduct that we would encourage you to participate in. If you are interested in busking in Cheltenham, you might want to have a look at the Cheltenham Buskers' Network on Facebook. If a busker is causing nuisance with noise from amplified music, the council has the power to take action. Please contact us. The police also have powers where they consider a public nuisance or obstruction is being caused.